Sync and charge iOS & Android devices with this generous 6-foot lightning/micro USB combo cable, available right now as a 3-pack, discounted to $9.99. Features a durable stainless steel connector, and a tangle-free nylon braided cord. The company offers a 12-month warranty against any issues with quality, as well. See this 3-pack deal on Amazon. 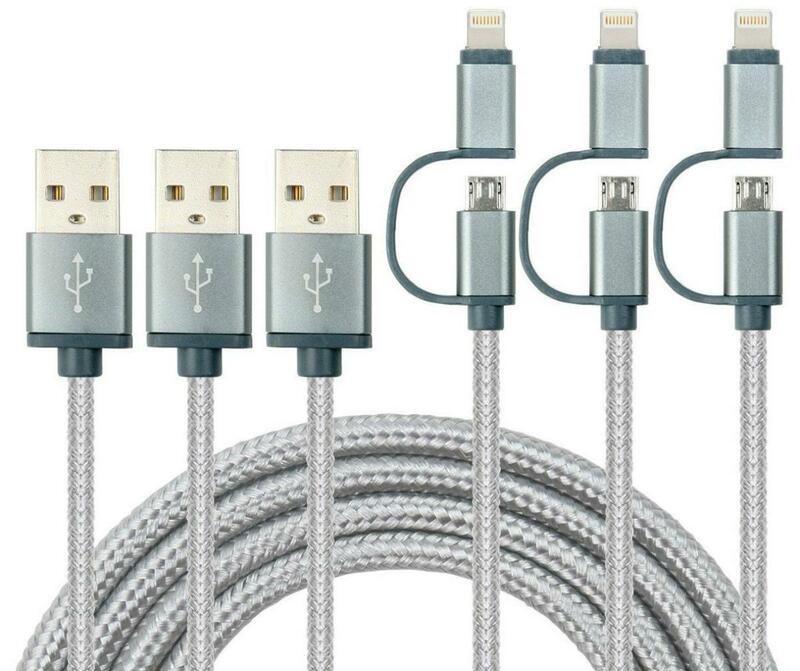 This story, "Just $9.99 Right Now For a 3-Pack of 6-foot Lightning/Micro USB Combo Cables - Deal Alert" was originally published by TechConnect.